Los Angeles Dodgers pitchers and catchers are due to report on Wednesday, Feb. 13, for the start of Spring Training, with position players expected to arrive by Tuesday, Feb. 19. The Dodgers will hold their first full-squad workout of the year at Camelback Ranch the following day. Their first game of the Cactus League schedule is set for Saturday, Feb. 23, when the Dodgers will be the designated road team against the Chicago White Sox. Per usual, players will take the field outfitted in new merchandise. 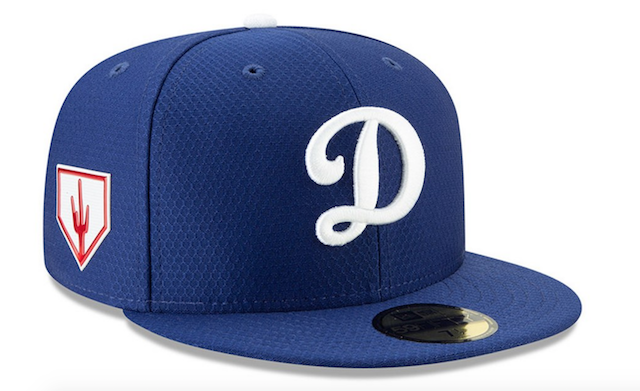 MLB’s slogan for Spring Training gear is “Whole Squad Ready,” replacing last year’s “Winning Starts Now.” For the Dodgers, their caps will again feature a ‘D’ written in cursive. 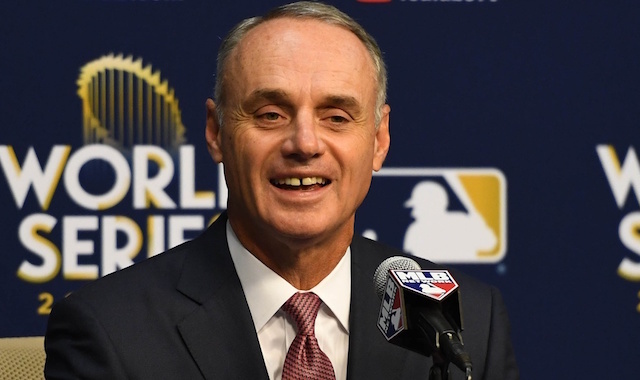 The alternate style was initially unveiled for 2016 Spring Training. This year’s New Era 59FIFTY fitted cap does revert back to a more textured appearance that historically is used. Last spring the Dodgers donned a version that was smooth and slick in composition. 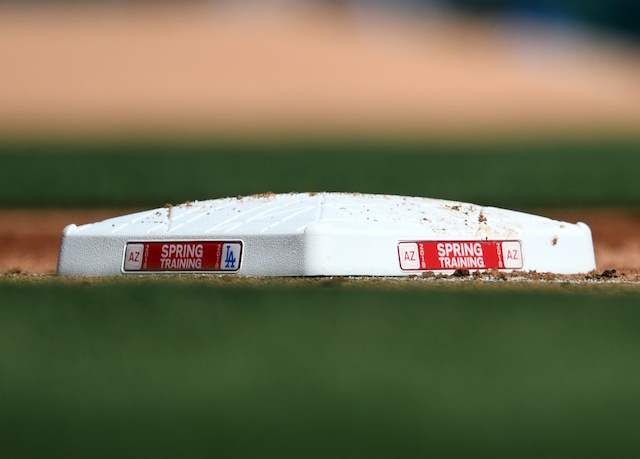 The 2019 version still features a Cactus League logo on the side, though the year has been dropped from it. The 2019 cap is comprised of COOLERA technology that wicks away sweat, DRYERA technology to repel weather-related water, Hex Tech fabric featuring ultra-lightweight fabric with moisture wicking and UV protective properties, and MICROERA technology that acts as an anti-microbial to reduce odor. It can be purchased now at MLBShop.com and other retailers.